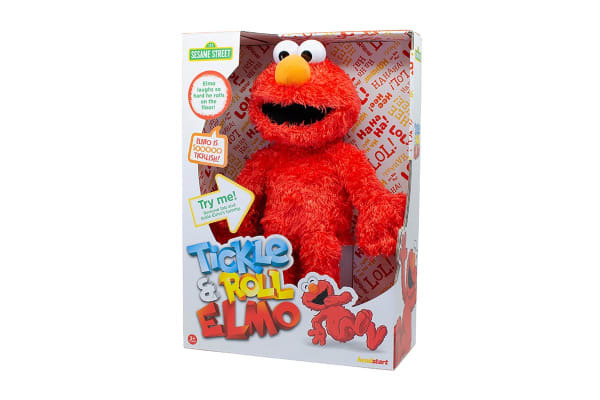 The Sesame Street Tickle & Roll Elmo is so ticklish that he rocks and rolls on the floor! Tickle Elmo’s tummy to hear him giggle and wiggle! 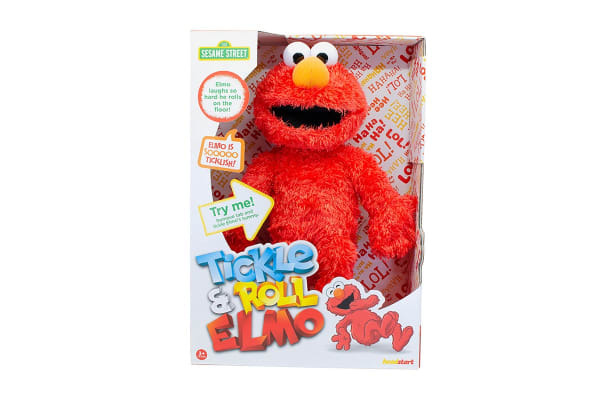 The Sesame Street Tickle & Roll Elmo says phrases such as “Elmo’s toes are too ticklish for that!” and “Oh boy, Elmo loved that!”.